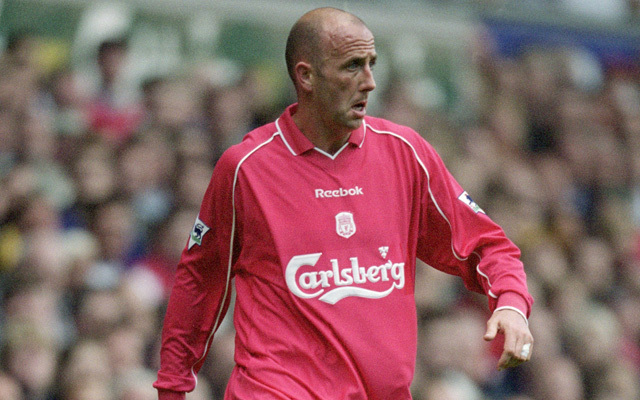 Ultimate Liverpool cult-hero XI - Igor Biscan and Titi Camara included! The Spanish playmaker was about as frustrating as he was brilliant. For every lazy, selfish performance down the right, there was a moment of genius that left us Reds desperate for more. Garcia possessed magic in both boots, most famously shown when spanking a 30-yard volley against Juventus en route to European glory. His thumbsucking celebration became iconic, and his ‘Luis Garcia, he drinks sangria’ anthem is one of the best player songs heard on the Anfield terraces. Like the man on the other wing, Smicer got it wrong quite a lot, but when he got it right, he did so with venom and fervour. The Czech international was told before the Champions League final in 2005 that his contract wouldn’t be renewed, and he started the game on the bench. But an injury to Harry Kewell saw him enter the fray, score our 2nd goal of the comeback – and bag his penalty in the shoot-out. He ran away kissing the badge. Cult-hero. Barcelona, Ajax, AC Milan and Juventus all wanted Igor Biscan in the 2000, but we won the race to his £5.5m signature, when that was a pretty sizeable transfer fee. Under Gerard Houllier though, he was awful – but his re-emergence under Rafa Benitez when all had written him off earned him cult status. During his final season in 2005, he put in some uncharacteristically fierce performances in the middle, which proved he wasn’t quite the tragedy once feared! Gerard Houllier’s most inspired signing? Potentially. When our former boss signed the 35-year-old Scot on a free, many fans questioned his judgement – but McAllister was a superb influence both in the dressing room and on the field, and his experience helped Steven Gerrard’s development too. Man of the Match in the UEFA Cup final victory in 2001, McAllister scored one and created three. He also scored a winner with a freekick in the Merseyside Derby, and was voted in at 32 in ‘100 Players Who Shook The Kop‘.